As the Western formula of sustained growth–think top-down management, expensive R&D, and highly structured innovation–loses touch, American leaders can learn from companies in the developing world. 1) Tie Senior Management’s Compensation to Frugal Performance. It’s not enough for CEOs to adopt a frugal mindset and strive to do more with less. They must also encourage their senior managers to follow suit. One way to do that is by linking senior executives’ compensation to performance metrics aimed at driving frugality. Take the case of Ramón Mendiola Sánchez, CEO of Florida Ice & Farm Co., a large food and beverage producer and distributor in Costa Rica that is deeply committed to sustainability. In 2008, Mendiola set up a balanced scorecard with a set of key performance indicators (KPIs) to track how well his companywas reducing its consumption of natural resources such as waterwhile simultaneously delivering more value to customers and other stakeholders.He linked these KPIs to his senior executives’ compensation sothey have some skin in the game: 50 percent or more of their compensationis tied to their meeting–or exceeding–these KPIs. Mendiola is leading by example–he has linked 65 percent of his own pay to the balanced scorecard that combines financial, social, and environmental KPIs to compute a ‘‘triple bottom line’’ of people, planet, and profit. This strategy has been successful: since its implementation, Florida Ice & Farm’s senior executives have found creative ways to do more with less by motivating their employees to improve manufacturingand distribution processes and help local communities better conserve natural resources. Under Mendiola’s leadership, Florida Ice & Farm has reduced the amount of water it requires to produce a liter of beverage from 12 liters to 4.9–and aims to soon further reduce it to 3.5 liters. It has also eliminated solid waste from all its operations and is well on its way to meeting its target of becoming ‘‘water neutral’’ in 2012 and ‘‘carbon neutral’’ by 2017. 2) Senior Management Must Challenge R&D to Do More with Less. The recession is forcing many Western CEOs to cut their R&D spending with the hope of increasing their innovation performance at lower cost. But this will happen only when engineers and scientists are offered challenging projects that give them the incentive to do more with less. The result was the Logan, a no-frills car priced at 5,000 Euros, which, since its 2004 launch, has become Renault’s cash cow across recession-wary European markets as well as in many developing economies. Interestingly, Schweitzer’s successor Carlos Ghosn–who coined the term ‘‘frugal engineering’’ in 2006–is now pushing Renault’s R&D team in France to do even more with less to compete effectively with low-cost carmakers from emerging market such as Tata Motors (which developed the $2,000 Nano). 3) Marketing Executives Should Create Separate Brands for Their Affordable Offerings. To avoid brand dilution, Western companies need to create distinct brands for distinct segments. Given that they might already have well-established brands for higher-priced segments, they should develop distinctive new brands for their affordable segments. Doing so will reduce the problems of brand dilution while ensuring greater market coverage. For instance, the Starwood Group opened two affordable but chic hotel chains–Aloft and Element–to cater to value-conscious consumers. Similarly, in an attempt to reach mainstream consumers, high-end designer Vera Wang has recently adopted a three-tiered branding approach: the top tier includes her pricey luxury bridal wear, the middle tier is made up of her eponymous line sold at accessible prices, and the bottom tier includes casual budget-priced brands–such as Simply Vera–that are selling like hotcakes through mass-market retailers like Kohl’s. 4) Create incentive systems for salespeople to sell affordable products. 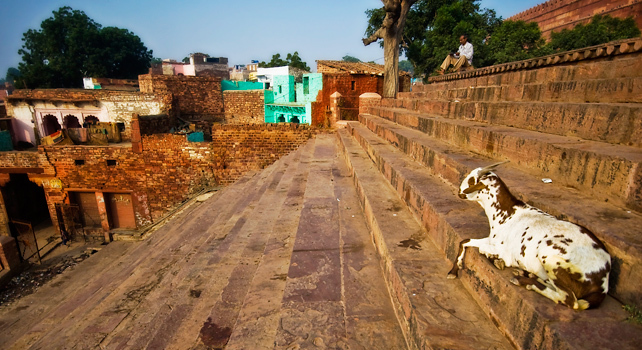 Western companies must recognize that jugaad innovation (“jugaad” is a Hindi word meaning an innovative fix, or an improvised solution born from ingenuity and cleverness) isn’t just about designing affordable products. It is also about successfullyselling these products in the marketplace. But successful selling won’thappen as long as salespeople have the incentive to sell only big-ticket items. Instead, companies will have to align their sales force’s incentive systems with the corporate strategy of doing more with less. Companies can address this issue by reorganizing their sales force along brand lines,with different salespeople responsible for the low-end and high-end segments. This will also help reduce any internal resistance based on the fear of cannibalization. Even better, healthy internal competitionbetween divisions could drive sales and marketing personnel responsible for different brands to be more innovative in how their reach and keep their respective customers. Consider that for decades Procter & Gamble maintained a homogeneous sales structure, selling premium products to mainstream middle-class consumers. But as the purchasing power of middle-class Americans declines, P&G has restructured its salesforce into two distinct groups that separately target high-income and low-income segments. To compete in the coming age of scarcity, Western CEOs must boldly revamp their companies’ R&D approaches, business models, and incentive systems for sales and marketing–all of which were designed for success in the age of abundance. In doing so, they can create and sustain a frugal culture in their organization that espouses ‘‘doing more with less’’ as its core value. 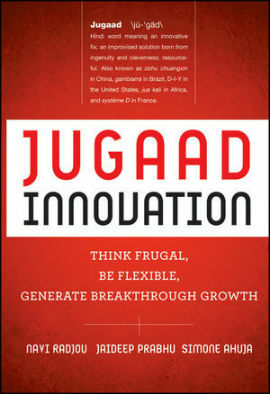 Reprinted by permission of the publisher, John Wiley & Sons, Inc., from Jugaad Innovation: Think Frugal, Be Flexible, Generate Breakthrough Growth by Navi Radjou, Jaideep Prabhu and Simone Ahuja. Copyright (c) 2012 by John Wiley & Sons, Inc. All rights reserved.